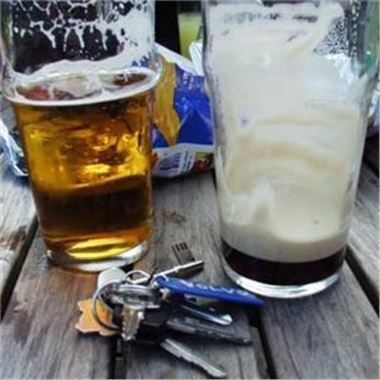 Motorists have been warned not to drink-drive this summer. The government stated getting behind the wheel after consuming alcohol can ruin lives. It made this comment as the Department for Transport launches a new £1.5 million campaign highlighting the potential consequences of taking to the road after a couple of beers or a glass of wine. Road safety minister Jim Fitzpatrick commented: "Drink-driving is not just a problem at Christmas - each summer almost 200 people don't make it home to their families because of drink-driving." He acknowledged that during the warmer weather, motorists may find themselves consuming alcohol when they had not intended to. Public transport and taxis should be made use of in situations like this, Mr Fitzpatrick claimed. The new Department for Transport campaign includes adverts on television, radio and online. Drivers who are caught behind the wheel while over the limit could receive a ban and when they are permitted to take to the road again, their car insurance premiums may be significantly higher.